The Conet Project has got to be one of the most unlikely, cryptic, disturbing, compelling, hypnotic, creepy, frightening, and thoroughly fascinating titles ever issued on compact disc. For decades and decades during the Cold War, an unsettling phenomenon was discussed in whispers among short-wave radio circles. Every once so often, while scanning the frequency band, an operator would encounter an abrupt and chilling transmission. Amid the modulation, static, atmospheric noise, and sideband splash, a signal would appear rising and fading, undulating in and out of audibility, a signal containing an eerie, vaguely human voice. The voice was mechanized, intoning very slowly what seemed to be gibberish: repeated series of numbers; sometimes letters; occasionally cryptic words, over and over again. Usually the voice was that of a preternaturally calm female; sometimes, in profoundly disconcerting broadcasts, it was that of a small child, but always slow, always deliberate, always without any hint of emotion. Peering through the distorted mists of high-frequency propagation, these voices sounded as if they originated from some place beyond time, or perhaps beyond the grave. They contained, within their concealed, mysterious incantations, a splinter of the occult, a queasy auditory glimpse into the void. And then they would disappear, like ghosts, sonic phantasms. These stations were soon dubbed “numbers stations” and discovering and logging their broadcasts became an obsession among a cloistered yet worldwide elite. The transmissions came in a variety of languages, but the droning, repetitive aspect was a constant. Being the height of the Cold War, various theories were put forth at the far end of the sanity spectrum, e.g. alien communiqués, but many short-wave enthusiasts were former military men, and they knew cryptography when they heard it. The numbers stations were using the durable, high-powered, low-tech capabilities of short wavelength radio to transmit code. This was serious cloak-and-dagger stuff, real-life espionage in action. The numbers stations were transmitting secret messages to spies operating in enemy countries, and all of the usual spooks were suspect: the CIA and the KGB; the Mossad; Castro’s intelligence services; East and West Germany; North and South Korea; the People’s Republic of China. Within the creepy monotone of a child, shadowy figures might very well be ordering assassinations. Documenting numbers stations was an exercise in frustration, even for the most committed monitors. Signals appeared and disappeared, seemingly at random; they jumped from frequency to frequency; they switched languages, formats and length without any apparent rhyme or reason. Still, a few hearty souls persevered, including London’s Akin Fernandez, who pursued his search with the devotion of a religious zealot, if not the zeal of a madman. He finally collected and compiled his years of documentation into a massive, stark 4xCD set, with an exceptionally assembled and informative book that contained a detailed history, logs, playlists, transcripts, and a bibliography. The original version of The Conet Project (Irdial, 1997) was pressed in an edition of 2,000 copies, and passed through the marketplace with little fuss. But in the intervening years, word of mouth spread. Thanks to the efforts of Akin Fernandez, some small part of the numbers station phenomenon no longer exists exclusively in the shadows. While it would seem to have the most limited audience imaginable – cranks, conspiracy theorists and other, all-around paranoids – The Conet Project has become one of the most celebrated and sought-after releases of the last twenty years. Wilco’s Jeff Tweedy used excerpts in the album Yankee Hotel Foxtrot (without permission from Irdial, for which he was successfully sued); in fact the title of the record itself comes directly from a broadcast documented in The Conet Project. Director Cameron Crowe used portions in his Tom Cruise/Penelope Cruz vehicle, Vanilla Sky. Other famous obsessives include the Besnard Lakes, Devendra Banhart, Faith No More’s Mike Patton, and Boards of Canada. 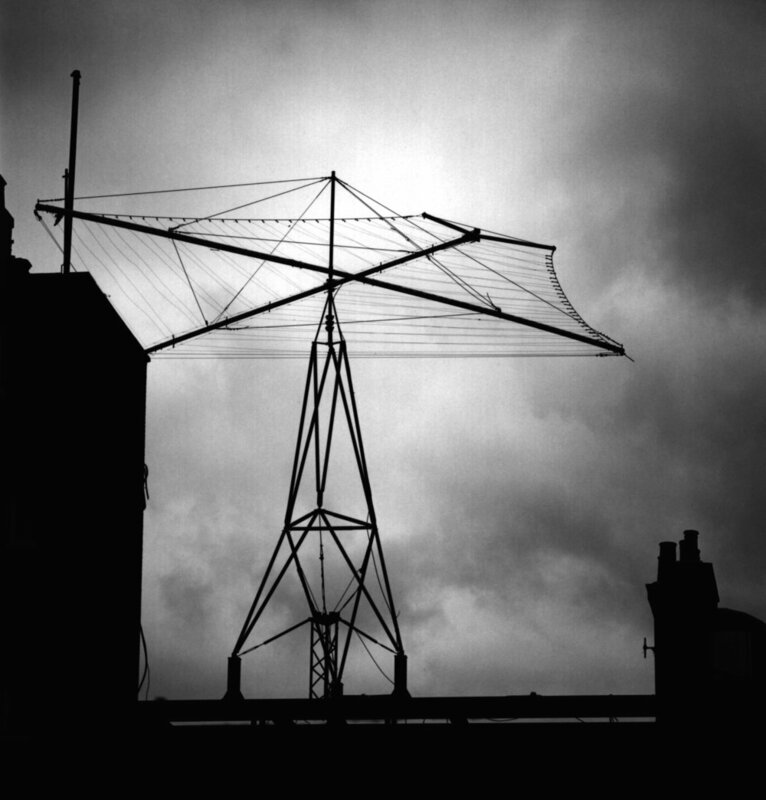 It’s odd to consider: Numbers stations were formerly a gravely clandestine phenomenon, one that evoked shudders of dread among those shortwave enthusiasts who stumbled across their clipped, creepy, and completely inscrutable, monotonic incantations. Now, thanks to The Conet Project, they’ve become a minor pop-cultural sensation – yet numbers stations are still in operation around the globe, fulfilling their unknowable agendas. It boggles the mind, but it could be that somewhere in a shack in Cuba, or a basement in China, or a Mossad-funded fishing boat off the coast off the Arabian Pennisula, there is a solitary agent who, after transmitting a forlorn message according to the pages of a cryptogram, spends idle hours listening to the recordings of The Conet Project. Comparing notes, as it were, professional spook to professional spook. The truth is out there – provided you are willing to decipher it. JEFF HUNT is an artist, producer and designer, best known as the founder of independent recording label Table of the Elements. Since 1992, he has documented some of the most prominent figures in experimental sound. News: We're pleased to announce that Austin's lauded End of an Ear is the exclusive retailer for titles from the Table of the Elements archive. As of this writing, they're stocking sealed, out-of-print material by artists including Oren Ambarchi, John Cale, Rhys Chatham, Tony Conrad, Jonathan Kane, Stephen O'Malley, Jon Mueller, Neptune, Zeena Parkins, Melissa St. Pierre, Lee Ranaldo and more. Owner Dan Plunkett has been a stalwart supporter of the label since its early '90s inception, and End of an Ear is a world-class shop with an impeccably assembled collection of vinyl, cassettes and CDs, as well as an astounding selection of vintage stereo gear. Whether you're a local Austinite or a visitor for SxSW, swing by and support brick-and-mortar durability and discerning commitment. Cheers! "So drink the long draught, Dan, for the Hip Priest"
Not just an old lady's. And he's gonna make an appearance. He's gonna make an appearance. Was shown in a freakshow early on. And drunk from small brown bottles since I was so long. People only need me when they're down and gone to seed. 'Cause I'm a Hip Priest. And they hate their allegiance to hip preacher one. They can't ever take advantage because I'm a Hip Priest. I was as clean as a packet of chocolate chips. "Kelley is an avatar of the power and humanity inherent in recognizing the radical impurity of human experience. His art searches out dark and soiled places where defects, fault lines and inadequacies are obvious and routine, and where failure takes on the poignant, fragile, even heartbreaking beauty that accompanies any loss of self." "In a three-decade career, cut off abruptly by his suicide, at 57, last year, Kelley did it all, in terms of genre: performance, painting, drawing, printmaking, sculpture, video, installation, sound art and writing. And he wove together — twisted together — all of that into what amounted to a single conceptual project based on recurrent themes: social class, popular culture, black humor, anti-formalist rigor and, though rarely acknowledged, a moral sense, unshakably skeptical, that ran through everything like a spine." "The Los Angeles Free Music Society didn’t just fly beneath the cultural radar in the 1970s: It roared beneath it, as low to the ground as it could possibly get, screaming and shrieking like a nitro-swilling, flame-belching, drag-racing funny car. And maybe that bit of era-specific, Southern California imagery is apt. These guys weren’t like other collectives in 1973, spouting polemics or Jesus Freakin’ and living off the land. They were running amok through the concrete fields of Los Angeles, just plain Freakin’...."
"Who was the first hippie, exactly? An argument can be made that the whole peace-and-love vibe traces back to the nineteenth century and Romanticism. Faced with the tumult of the Industrial Revolution (the inevitable end result of the Age of Enlightenment), artists, musicians, and authors began dreaming of pastoral landscapes and personal idylls, in which individual heroics became transformative gestures. Getting back to nature and dropping out of society wasn’t some abrupt worldwide Zeitgeist that erupted in 1967: Lord Byron could easily be categorized as a hippie. For that matter, one could add to the list Percy Shelly, Henry David Thoreau, and Ralph Waldo Emerson. Walt Whitman was a complete hippie, for sure. But why stop there? There’s certainly one obvious candidate for Original Hippie. Maybe some of you indie-rockers have heard of the New Testament. You know, it’s in a book, called the Bible...."
"GUITAR TRIO IS MY LIFE!" "Sound goes low, deep to the core of the Earth. It goes high, too: higher than we can tolerate, then higher than we can hear, then higher than any living creature can hear. It goes higher and higher and higher still, until it rains down as sunlight and collects in pools as all the colors of the spectrum. Feel lucky? Reach out and grab just enough to make a single chord. Who knows? It might even be enough for a song." "...Again, the specific matter of guilt or innocence is – or should be, in an optimal, rosy-hued world – a matter for the courts. But as incendiary epithets like “cop killer” are lobbed rather than dispassionate verdicts, the case of Mumia Abu-Jamal merits close and objective consideration. This nation’s ethical posture and moral equity continue to sag and devaluate beneath the weight of Guantanamo Bay, the dodging of the Geneva Convention, state-sanctioned disregard for habeas corpus, and general, blithe indifference as breathing human beings are whisked away and deposited in concrete sarcophaguses in Florence, Colorado. While we shuffle collectively through the corridors of our own, digitized Panopticons, poking obliviously at our iPhones in slow-zombie mode, it’s worth stopping for a moment of lucidity. ...."
"...These ideas gripped Dubuffet, and dragged him toward a sphere of obsessive creativity that was harrowing in its rigorous isolation and self-contained fecundity. He delved deep into the creative compulsions of those deemed “outside” of society, individuals whose imprisonment and/or madness precluded any serious consideration of their self expression, people for whom society—high, low, or otherwise—was no more accessible than the surface of the moon. Within the cells of prisoners, the minds of psychotics, and through the eyes of the mentally ill, Jean Dubuffet found the purity and persistence of vision for which he yearned..."
"It entered our dimension through some appalling portal in 1968, an unspeakable Cuthulian horror that's never, ever going to leave. It lives deep in the ocean, and waits for the humans to summon it via ritual invocation at the RV and Boat Show." When he fled Harvard in 1961, contrarian Tony Conrad escaped into the restricted ruins of post-war East Berlin. Now he returns, via Tyler Hubby’s celebratory opus, Tony Conrad: Completely in the Present. The host is Volksbühne, Germany’s most iconic theater. Is Tony rolling in his grave? We like to think he’s rolling in the aisles. "...It’s difficult to fathom today. The maturation of rock ‘n’ roll happened with immeasurable velocity. It was a subatomic chain reaction. In the blink of a mind’s eye, music exploded from Elvis 45s to Sgt. Pepper’s; from “How Much Is That Doggie In the Window” to “Interstellar Overdrive.” One moment there was just the 45 RPM disk in a plain paper sleeve, dutifully waiting to inseminate a malt-shop jukebox; then there were phonograph albums, issued strictly as knock-off asides and cash-in novelties; and then, in a mushroom cloud of self-awareness and self-realization and self-actualization and self-indulgence, the album was The Album, the means to the end, The Alpha and The Omega of Rock. And they saw that the LP jacket and its inner sleeve were naked, and the Children of Rock were ashamed...."
The wildly versatile multi-media artist Bradly Brown defies expectations, and he does so in perverse, science-fictitious splendor. I’m biased, as he’s not only my creative collaborator but my friend, but this gaunt Texan has the real goods at the farthest flung trading posts: expertly crafted wampum that cloaks value in vivid, secretive layers. His intuitive design skills alone merit high praise; in an era in which graphic artists often succumb to Novocaine levels of digital numbness, Bradly’s work pounces out of two-dimensional confines. If you have a deft sensibility, you can see it breathe and pulsate. Spirits of silver nitrate float; dead voices carry; bestial dystopia beckons. "Paul Duncan hails from the edge of the Piney Woods region of East Texas, where that state begins its lazy, humid segue into Louisiana. He lives in the sub- and pan-cultural particle accelerator that is New York City. And as a singer, songwriter and multi-instrumentalist, he is one of the most versatile and forward-thinking talents you're likely to encounter."